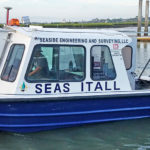 Seaside Engineering & Surveying, LLC (SEAS) has extensive experience performing hydrographic surveys and is recognized nationally as a leader in Hydrographic Surveying. SEAS specializes in singlebeam, multibeam and side scan sonar surveys. 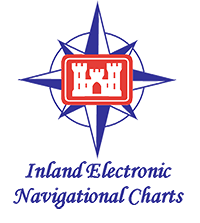 Our crews have worked on almost every major navigable inland waterway, many coastal waterways, lakes and nearshore coastal projects. 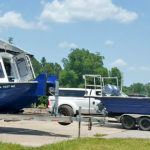 SEAS owns and operates five fully automated hydrographic survey vessels ranging from 28 feet to 17 feet (all meet U.S.C.G. Commercial Vessel Safety requirements) and one jet ski. 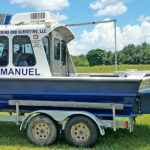 SEAS owns the latest technology in hydrographic survey equipment. SEAS personnel are very familiar with Horizontal and Vertical Reference Datums, position and depth accuracy, bottom coverage density requirements, and the procedures for attaining those requirements as set forth in the Engineering Survey Manual. 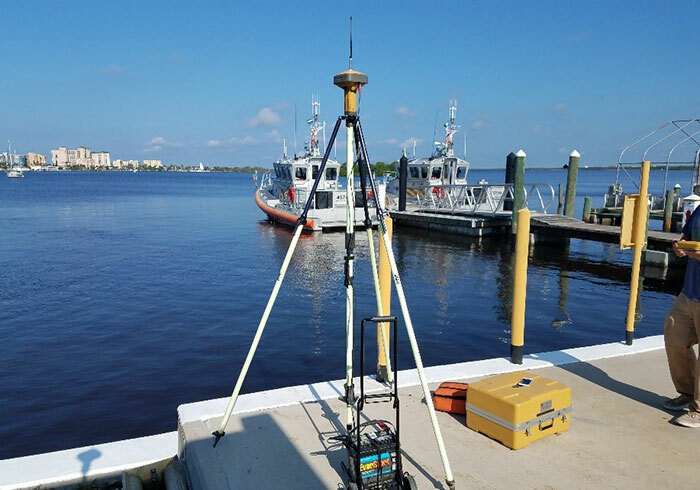 SEAS Hydrographic Project Manager, John Gustin has 30+ years hydrographic survey experience, seeing the evolution of hydrographic survey systems from Tag Line/Lead Line to RTK GNSS/Multibeam. Mr. Gustin is Florida licensed Professional Surveyor and Mapper (PSM) and a US Coast Guard licensed Captain. 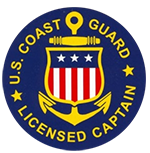 SEAS has 4 hydrographic survey Crew Chiefs all of which are US Coast Guard licensed Captains. All of SEAS hydrographic survey Crew Chiefs are also efficient in Control Surveys and singlebeam and multibeam hydrographic data processing with Hypack.